What do you do if you're in the middle of nowhere and your car won't start? If you're lucky, you carry jumper cables for this exact situation. If not, you're in trouble. You need to ask your friend to help you or call for breakdown service. But this all takes time. Not to mention your phone battery may be dead too! 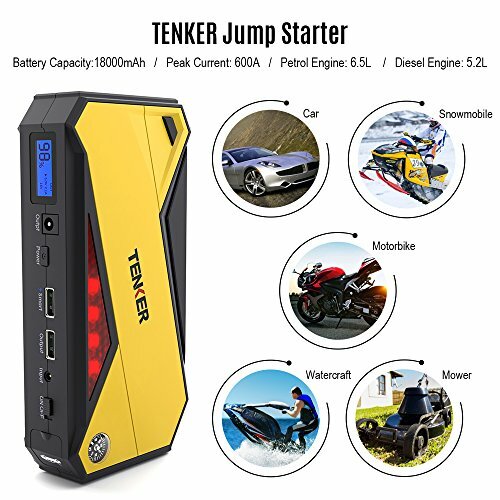 A Tenker portable jump starter will help you get out of this trouble in no time. 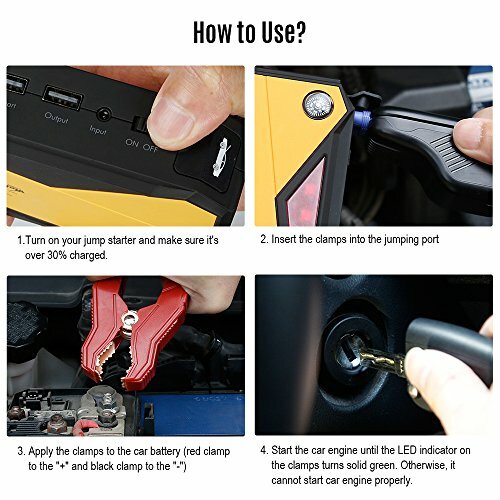 Simply get the jump starter from your car! Super-Fast Shipping - Get Started 48h from Now with Amazon Prime! What are you waiting for? JUST CLICK THE YELLOW 'ADD TO CART' BUTTON NOW! 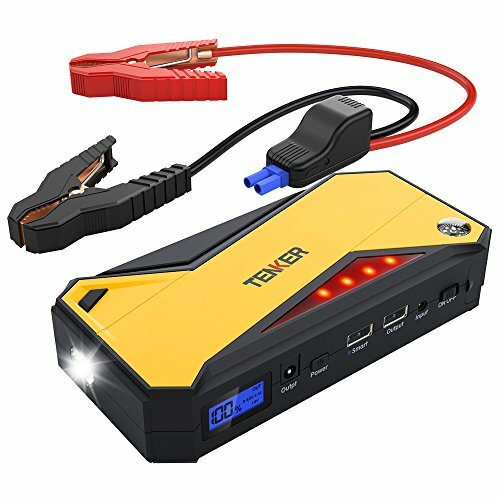 【Powerful & Reliable Lifesaver】 With 600 amps peak output, this 18,000 mAh capacity jump starter has no problem starting most vehicles with gas engines up to 6.5L or diesels engines up to 5.2L. 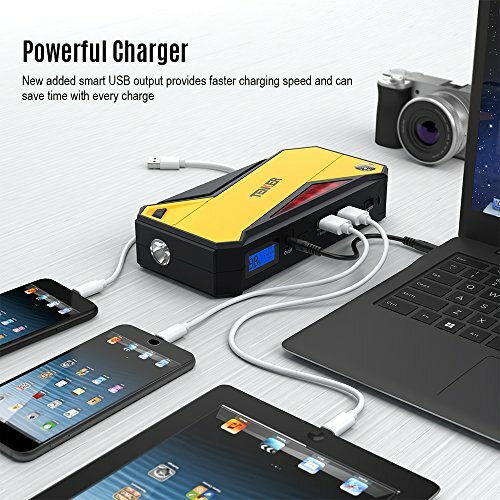 【Portable Smart Charger】 Dual USB charging ports (including a smart USB output) provide faster charging speeds to power your portable electronic devices. 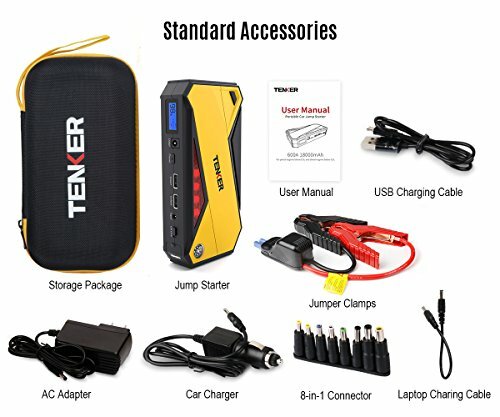 In addition, a laptop charging port (12V/16V/19V) and 8-in-1 laptop adapters are compatible with the charging needs of many laptops. 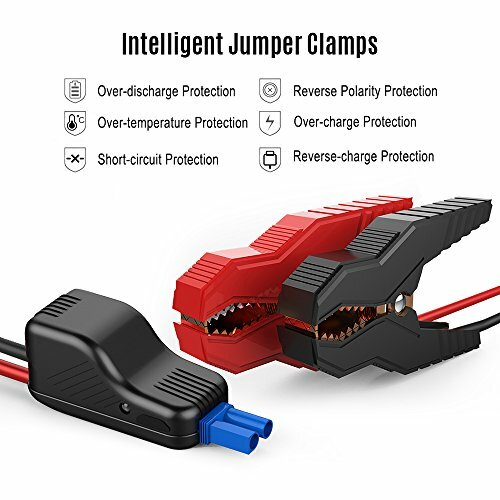 【Ultimate Safety】 Smart clamps on this battery jump starter can protect the car jump starter and provide over-current protection, short-circuit protection, overload protection, overvoltage protection and overcharge protection. 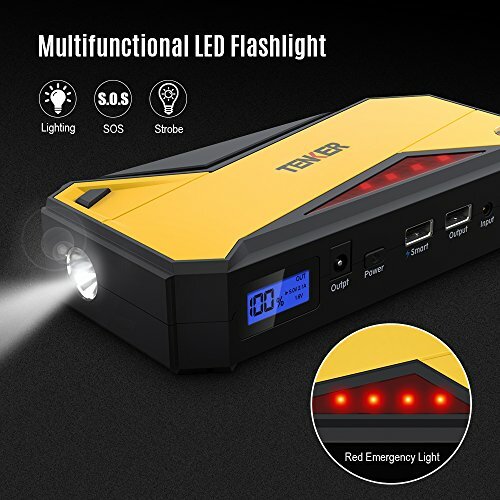 【Multifunctional LED Flashlight & LCD Screen】This ultra-bright LED flashlight has three illumination modes (lighting/SOS/strobe). There is also a red emergency light for emergency use. 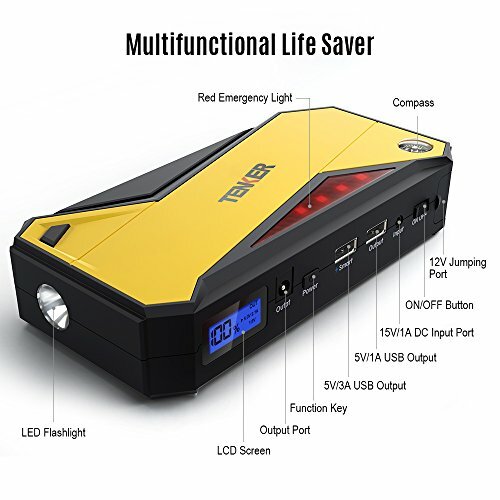 The LCD screen precisely displays the remaining power and output voltage. 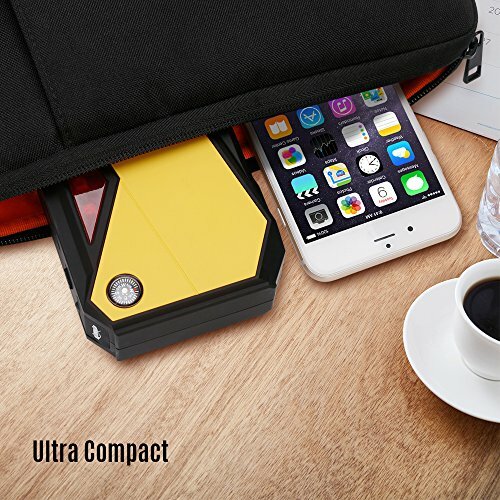 【Super Portability】This jump starter is small & light enough to store in the glove box. Dimensions: 7.28*3.46*1.38 inches, 1.35lbs.